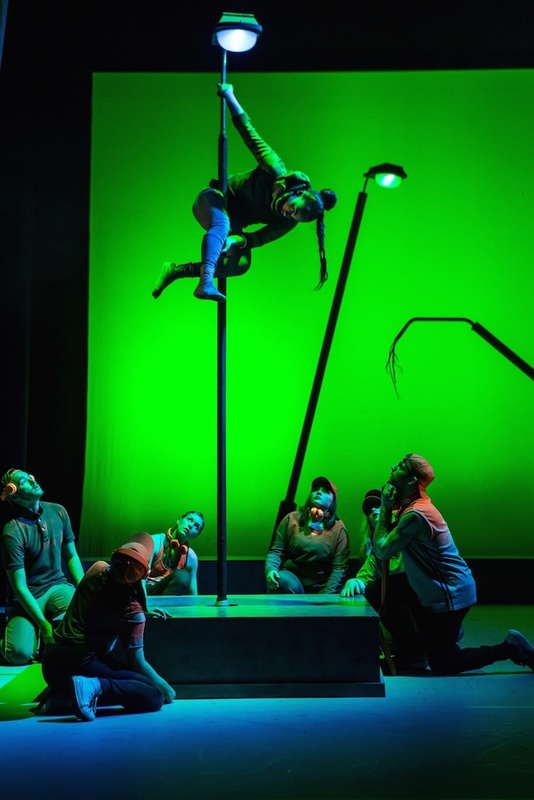 The famous plot of Rudyard Kipling's story is given a 21st Century makeover and transported into the urban jungle for this acrobatic child-friendly dance adaptation. There's a fresh take on the classic, both politically and artistically, putting females at the centre of the action and using rap and urban poetry to ultimately urge young people to have a voice. 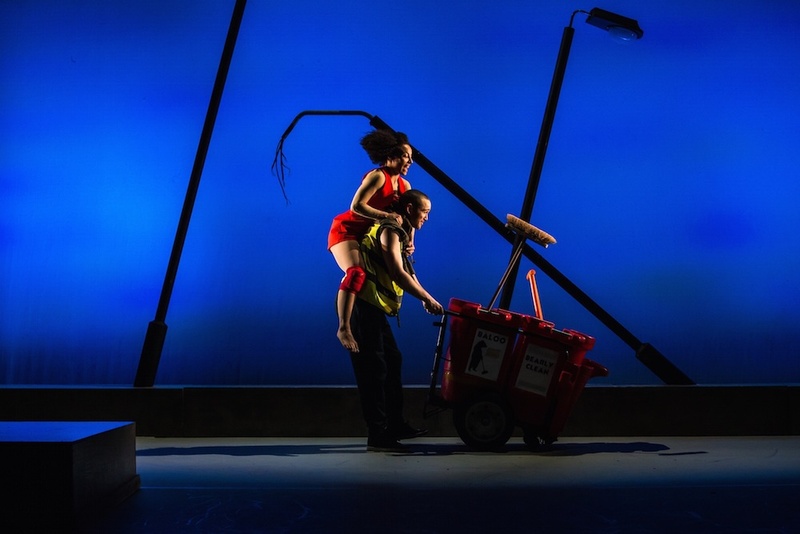 This dance production by award-winning Metta Theatre uses music, spoken word, Hip-Hop, circus skills and breakdance to tell the story of Mowgli, a girl abandoned in an inner city as a baby, who embarks on a journey back to a life with "the suits" in the city as a teenager. It's currently touring the UK and I caught the show while in Birmingham at the Patrick Centre in Birmingham Hippodrome from 18 to 22 July. It continues to venues including Bristol Old Vic, London Southbank, Quays Theatre at The Lowry, Derby Theatre Royal and Theatre Clwyd in Mold until 1 November. While the original Kipling story is somewhat lost in translation, it still has the key messages of feeling like an outsider, finding your true friends and realising who your enemies are. There's some clever character transformations that work well with young audiences including master of ceremonies Balou - a charming young binman and lovable teddy bear, if any kind of bear. Stefano Addae has a winning personality that shines through his performance. Then there is the skateboarding, street-dancing hooded Wolf crew and the vibrant, likeable lead Mowgli, played by Alfa Marks. Marks not only has the impressive gymnastic skills to do aerial acrobatics on a rope but also shows her dancing versatility at ballroom and ballet during a humorous dress shop scene where Mowgli's long-lost mother tries to turn her into something she isn't. Meanwhile, Bagheera is a menacing female graffiti artist rather than a panther and Shere Khan is the vicious king of this urban jungle, who contorts in astonishing ways. Dancer Kaner Scott makes jaws drop as he literally bends over backwards with his arms, legs and other limbs folded in all kinds of places. It's these circus-style acrobatics that are ultimately the highlight of the show, especially from snake-hipped Kaa. She hypnotises with her sultry charms and fantastic gymnastic agility and ability on a lamppost. Talented dancer Nathalie Alison as Kaa makes easy work of technically difficult moves that require a huge amount of strength. She also plays a homeless girl who befriends Mowgli, which leads to a sentimental, impressive acrobatic dance section featuring both the girls on a hanging hoop. Choreographed by Kendra J Horsburgh, this new Jungle Book includes various modern dance styles to appeal to families with young children along with older audiences. Most of all, it's visually stunning and pulsating with energy, even if the plot is loose and gets a little lost along the way. The show runs for 70 minutes with no interval.